Located approximately six kilometres from town, this is a scenic area with red cliffs and turquoise water. 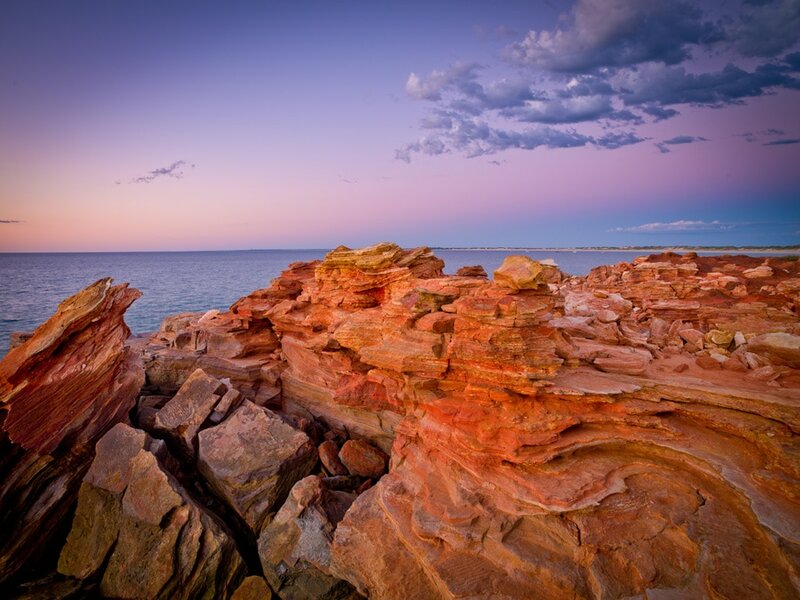 In the sandstone at the water’s edge are petrified dinosaur footprints over 130 million years old. For the benefit of visitors, a plaster cast of the tracks has been embedded at the top of the cliff.